Can We Help Someone Pray in Tongues? When you have been raised in religion and legalism most of your life, transitioning into living a life in the Spirit can be challenging. One of the common questions is, "Can and should everyone pray in tongues?" Yes, tongues is for every believer, but sometimes we have to overcome old mindsets and teachings in order to flow in the Spirit. When desiring to pray in tongues, we are often our own obstacle. Church, pastors, people and religion have said that tongues has ceased and is not for today, but the gifts of the Spirit are in full activation today. How do we overcome our own obstacles to get a prayer language that is powerful, releases our destiny and breaks down strongholds? We move forward by studying the Scriptures and what the word of God says about tongues. The best place to start is in the books of Acts and Corinthians. You can discover the scriptural evidence for tongues which will assist you to renew your mind, so as you try to speak out in tongues you don't doubt what is happening. When the Holy Spirit comes upon people some will instantly pray in tongues and their prayer language will be released, but for some, their mindsets—possibly being scared, uncomfortable or unsure—can prevent their prayer language from manifesting. What do you do then? How can you assist someone to overcome their hesitancy to release that which is such a powerful gift and asset in our Christian walk? As a past healing room and prayer director and as I currently travel the United States, I've had plenty of opportunity to lead people to the baptism of the Holy Spirit with the evidence of speaking in tongues. I have seen instantaneous, powerful manifestations of the Spirit as well as times when people are longing and desiring for it, but nothing comes out of their mouth. I believe there are some simple exercises that can assist them in getting their mouth moving, voice box activated and tongue going. These exercises will lead them to speaking out their prayer language. Try these simple steps the next time a friend or brother or sister in Christ asks you for assistance, you are ministering to them or they are frustrated that they have not spoken in tongues. Pray with them and ask the Holy Spirit to fill them to overflowing from the top of their head to the bottom of their feet. Call forth the empowerment and gifts of the Holy Spirit. Have them invite the Holy Spirit (out loud) to fill them and come upon them. Anoint or pray over their throat/mouth and command their tongue to be loosed. If they are still not experiencing any manifestation of tongues, try having them do any or all of the following exercises. By participating with them in these exercises you are simply trying to get their voice, tongue and mouth moving. People think tongues is just going to come up by standing there with their mouth closed and no physical action, but most of the time, it will not happen that way. You need to get the person actively participating so that their fear and discomfort diminishes, the doubt leaves and their mind gets off their old teachings. By having them co-labor with you and the Spirit of the Lord, their mind will shut down and close off the worries and doubts, and their prayer language will flow because they just activated their faith through prayer. Have them praise God out loud in English. Get them praying not their wants and needs, but entering into His gates with thanksgiving and entering into His courts with praise. Have them say, "Praise You, God. Thank You, Jesus. I love You, Lord." Get their mouth and heart moving with praise and adoration to the Lord. Are they a singer, worshipper or music leader? Have them start singing. Some people can sing in tongues easier than praying in tongues. Sing in the Spirit if you can and have them try to sing with you. This will again activate their faith and get their vocals going to allow something to manifest. Ask them if they speak or pray in a foreign language. If so, then while you pray in tongues, have them pray in their foreign language. By activating their faith and getting them to pray and words coming out of their mouth, usually the tongues will activate and take over. Gather some people around them that pray in tongues and have you all pray together. This will encourage their faith and they won't feel awkward at what is releasing. Remember, society has told us this is not acceptable, therefore a little encouragement from believers who enjoy their prayer language can help. When first starting to pray in tongues, people don't know what to expect. Questions can race through their mind on how I do this. How do I start? People won't necessarily speak what they are thinking. Therefore, upon their filling of the Holy Spirit and the ministry time you give them, ask them if you can assist them, if they would pray with you. Don't leave them to figure it out on their own, Jesus said to make disciples. If we don't assist them when needed, some people will give up and won't press in to release what the Spirit has already given them. People won't talk to another person about it and can feel stuck and frustrated as they try. Help them on their way to one of the best assets we have as believers: the Holy Spirit co-laboring with us in prayer. 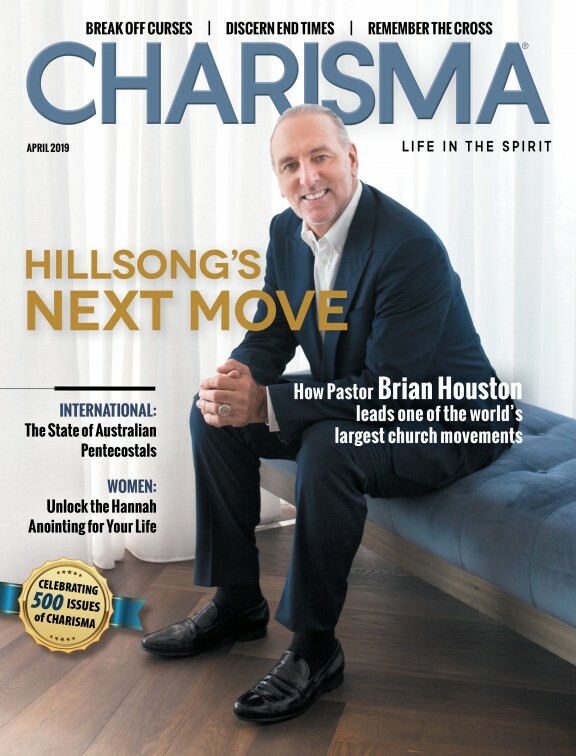 Editor's Note: The opinions of this writer are not necessarily those of Charisma Media. Kathy DeGraw is the founder of DeGraw Ministries a ministry releasing the love and power of God. She travels hosting conferences, teaching schools and evangelistic love tours. Kathy enjoys writing and is the author of several books that educate, empower and equip people, including A Worship Woven Life and Flesh, Satan or God. Connect with Kathy at degrawministries.org.